Quite by chance I found a book online the other day – a memoir covering the little Gloucestershire town of Lydney during WW2, the very place Joe (as Günter Stern) spent three years from 1940 – at the evacuated Yardley Grammar School from Birmingham. It is written by a now American writer, who was five when the War began. Anyhow, Joe came round to see me yesterday and I showed him the book. And would you believe it, the writers’ Dad was his chemistry teacher in the sixth form when he was working for his Higher Certificate. 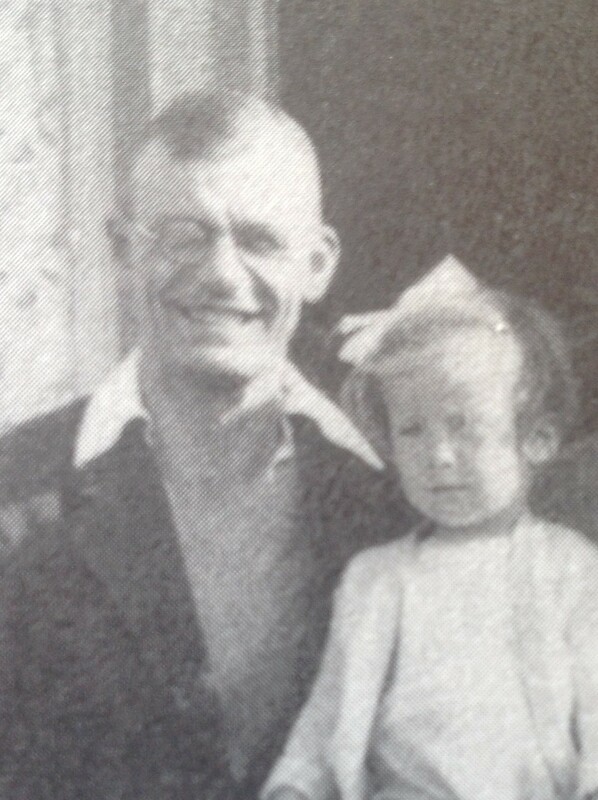 The teacher was Joe Hotchkiss and he is pictured here in in 1939 with his daughter, who is now writing as Ann Stalcup. I then looked up Mr Hotchkiss on the Lydney Grammar School memories website to find him described by colleagues as: ‘dedicated and meticulous, with a high sense of justice and a great generosity of time and temper.’ Sounds to me like this man was a great influence on Joe – that describes Joe to a ‘t’. I am now in touch with Ann Stalcup and hope she has more memories of Lydney for my book. Sadly her Dad is now dead or I could have asked him if he remembered teaching the German Refugee boy!